New bionic eye successfully restores sight in Australian patients - Healthcare Asia Daily News | Asia's Leading News and Information Source on Healthcare and Medical Industry, Medical Technology, Healthcare Business and R&D, Healthcare Events. Online since 2010. : Healthcare Asia Daily News | Asia's Leading News and Information Source on Healthcare and Medical Industry, Medical Technology, Healthcare Business and R&D, Healthcare Events. Online since 2010. 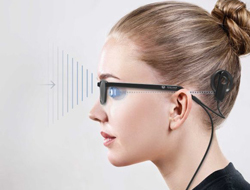 Bionic Vision Technologies Pty Ltd (BVT) revealed that medical researchers had successfully restored a sense of vision in four blind people with its bionic eye as part of a clinical trial in Melbourne. All four patients have a degenerative genetic condition called Retinitis Pigmentosa which causes loss of vision. Principal investigator Associate Professor Penny Allen, head of the Vitreoretinal Unit at The Royal Victorian Eye and Ear Hospital and Centre for Eye Research Australia, made the announcement at the annual Royal Australian and New Zealand College of Ophthalmologists Scientific meeting in Adelaide. An earlier study of three patients established the safety of a prototype but restricted use to the lab. The new study uses a permanent device that can be used every day. “We have completed surgeries on four patients to implant the device and the team is very pleased with their progress. All four patients have had a sense of sight restored and are in the process of learning how to use the bionic eye for mobility and other activities,” said Allen. The BVT developed bionic eye being tested uses a unique vision processing software that aims to improve the patient’s experience.The eye consists of implanted and body worn components. The patient wears glasses with a small video camera mounted on the side. The live feed from the camera is processed and transmitted via an implanted microchip to an electrode array placed in a naturally occurring pocket behind the retina, called the suprachoroidal space. The electrodes stimulate remaining cells in the retina, to generate spots of light that give a patient a sense of vision. “At the moment, we are focused on patients who have vision loss due to Retinitis Pigmentosa, an inherited genetic condition,” continued Allen. “We welcome developments like this which potentially provide support and independence to the many people and families affected by this genetic condition. The ability to regain a sense of sight will make a positive difference to the lives of people diagnosed with Retinitis Pigmentosa,” said Chairman of Retina Australia, Leighton Boyd. Retinitis Pigmentosa is a genetic disorder that leads to loss of vision. It affects about one in every 4,000 people, affecting 1.5 million people worldwide. It is the leading cause of inherited blindness. There is currently no cure.